HackCopss: How to Fast Booting...? Benefits of UEFI boot mode over Legacy BIOS boot mode include: Support for hard drive partitions larger than 2 Tbytes. Support for more than four partitions on a drive. 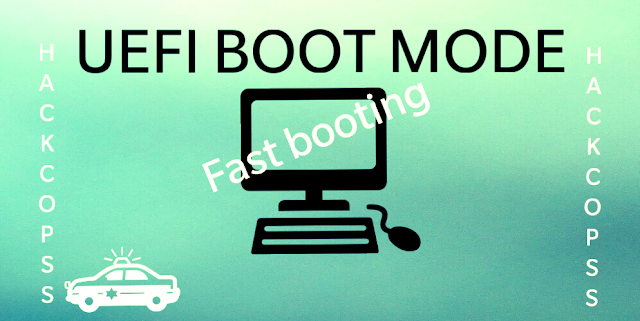 Fast booting. What UEFI Mode Enable or Disable. I Hope you enjoyed this amazing PC trick for enable UEFI mode. If you have any issue regarding content of this trick, Feel Free to comment, I will try to respond on all comments as soon as possible.